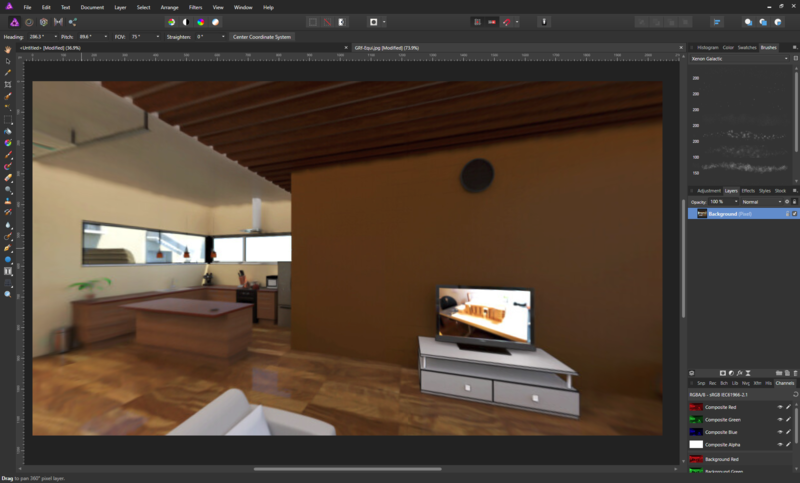 How can I paint equirectangular (360 degree) images? I am creating a web-based virtual reality video game using A-frame. The a-sky element requires an equirectangular image to fit into the sky of the game. I want this sky to be outer space, which is difficult to get with just a cell phone. I'd rather just paint a space sky if I could, but I don't know how I could do this. Does anyone know of a linux software (open source preferred) solution to painting an equirectangular sky background? I found this explanation and solution which should work without any new software required (I can use Inkscape), but I was hoping for a simpler (lazier) application that's already prepared to just let me draw on a sky (360 image). 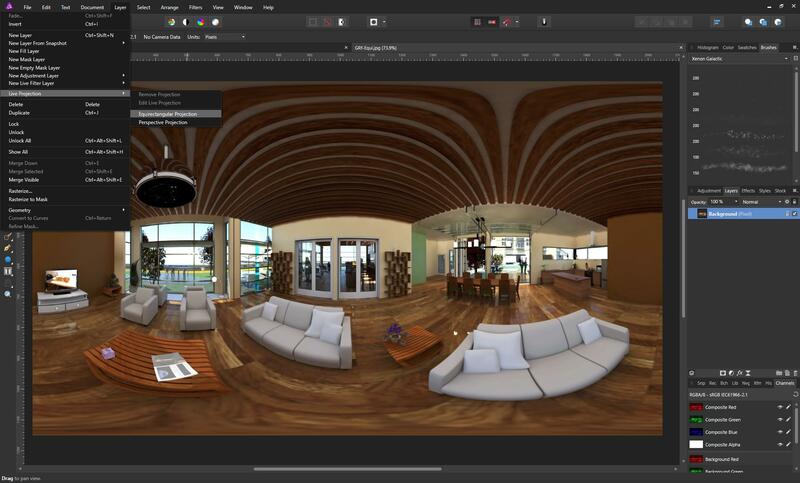 I'm going to give a graphics software answer here, which is in a different direction than all these - both Affinity Photo and Photoshop support 360 equirectangular painting Photoshop you'll want a 360 VR plugin like Flexify - Affinity Photo supports this natively. I will address method in Affinity as I have that on hand here, and am embedded at a client site where I cannot install plugins so can't address the Photoshop method - but I know there are dozens of tuts out there. Well whoooops the - I missed that OP very clearly asked for Linux and open-source... mea goofa. So looks like there is a GIMP plug-in called Panorama GIMP Plug-in which should help you with this in GIMP - and if that doesn't do it, Joojaa is right that there's a workflow using GIMP & Blender which can handle this pretty well, and is well documented out there bot in video tuts and written docs. Hope this helps more than my tone-deaf ignoring of your system requirements! You want to draw an image which is distorted like the right one. 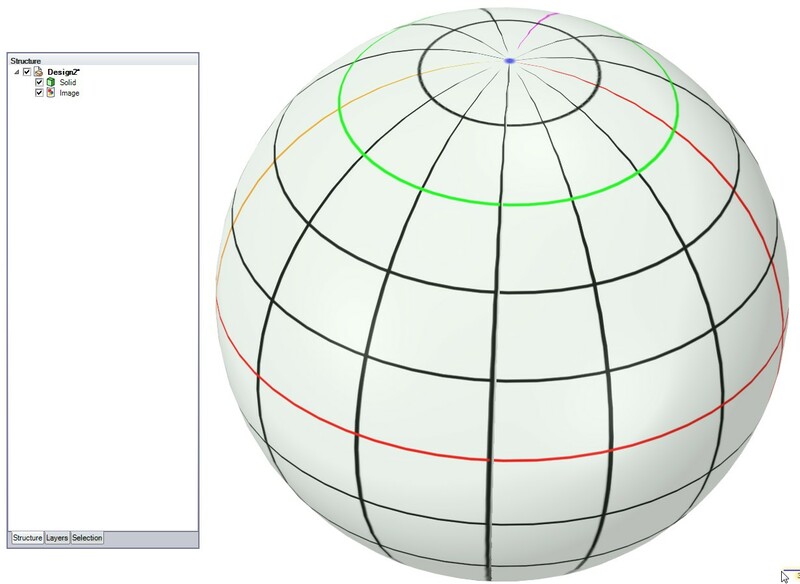 Your VR system will map it onto a sphere like in the left and the system user watches it sitting in the midpoint of the sphere. You "simply" take a rectangular area which is 2 times as wide as it's high. 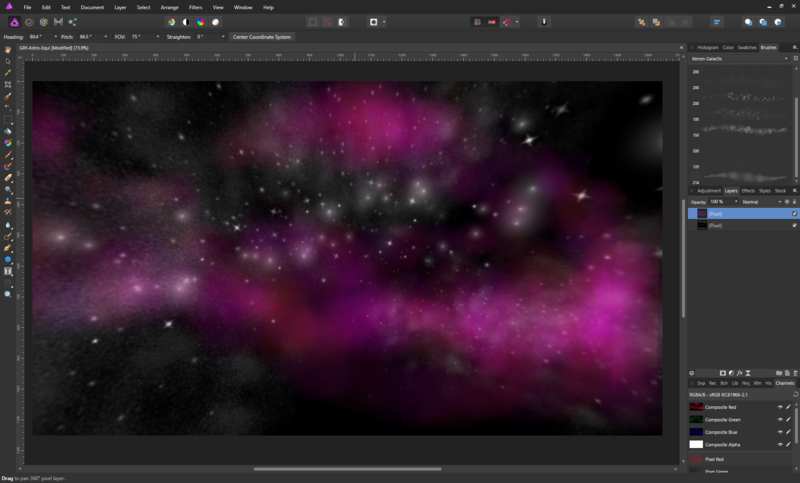 You want obviously draw space dust, stars and maybe some imagined planets, too. Put the items into the rectangle, but you must decide the right scaling. Vertically there's needed no scaling. But horizontally you must stretch the items. The more stretching the further the item is from the equator. Single points, the north and south poles will fill alone the top and the bottom edges of the rectangle. Small items on the equator could be drawn as is without error. 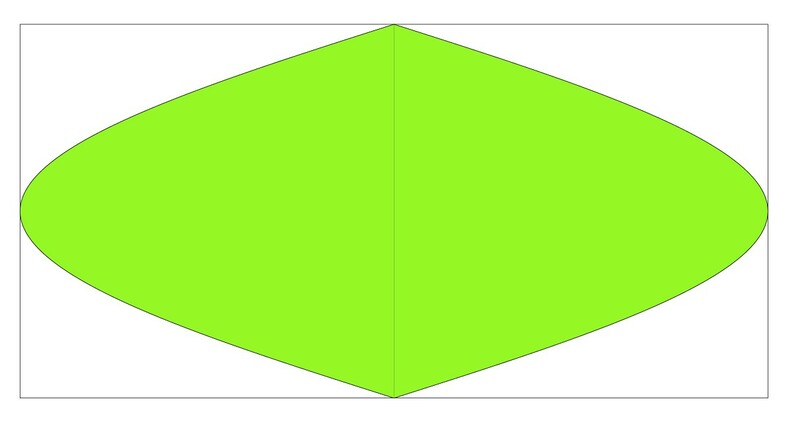 If you insert the items into green area, cut it to small horizontal slices and stretch every green part as wide as the rectangle, you have the wanted equirectangular image. In both cases the total stretching is the same (=nothing at the equator, one point to whole image width at the poles). 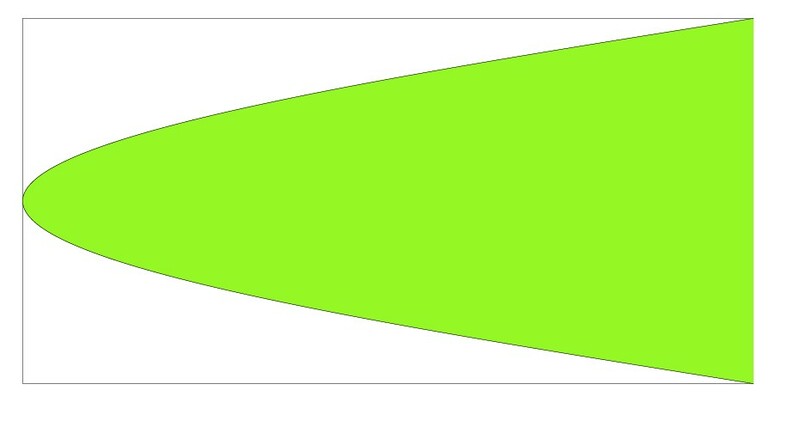 The practical drawing onto the green area is extremely difficult, because only very small items do not get distorted. Drawing can be helped with lines which will become horizontal and vertical in the stretched image and present meridians and parallels on the globe map. 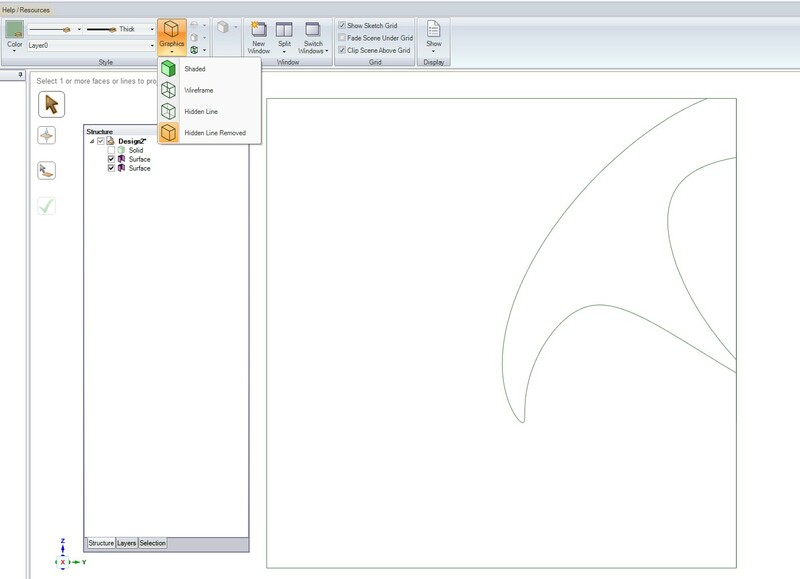 The stretching is possible in programs which have mapping with custom equations. 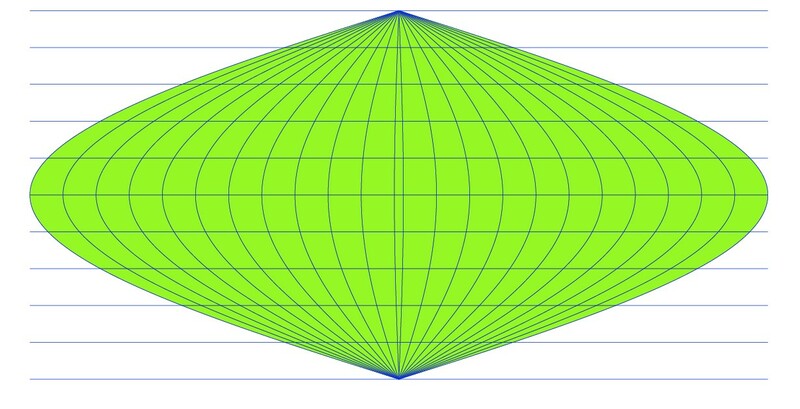 The mapping takes content to point (x,y) in the stretched image from unstretched image point (x',y'), where y' =the same y and x' =(W-1)/2 + (x-(W-1)/2)cos(Pi(y-(H-1)/2)/(H-1)). W and H are the image size in pixels, the coordinates are assumed to have ranges from 0 to (W-1) and (H-1). This is for bidirectional stretching, one directional stretching has nearly same formula , only replace (W-1)/2 with (W-1). The numbers reflect the dimensions W=3000, H=1500. As a photo this could be quite high resolution, but for this it's too coarse - as you see, polar areas are fuzzy. The image should contain sharp rectangles. I tested also actual drawing. Directly as stretched it was hopeless, nothing became recognizable near poles and the rest was (at best) laughably distorted, when the result was projected on a sphere. Filling the green area before stretching worked marginally better, if the meridians and parallels were in place for reference, but in practice it was also hopelessly non-productive. ADD: User Gerald Falla has told in his answer how it should be done. We can try it. Actually Affinity Photo has live equirectangular mapping. One makes an empty drawing say 3000 px wide and 1500 px high, fills it (if needed) with squares for easier orientation and goes to layer live equirectangular projection mode. There he can paint the shapes, but for feedback he watches the sphere from the centerpoint. There should be no problem to get the shapes drawn undistorted, if the person can draw well on normal plane. The drawing generates under the hood the right equirectangular image. At first we have 3000x1500 px bitmap image with rectangular grating. The equator and the zero-meridian are red. This is totally another way based on entry level CAD software. It assumes the comment "Make a box" (=skybox) is useful. 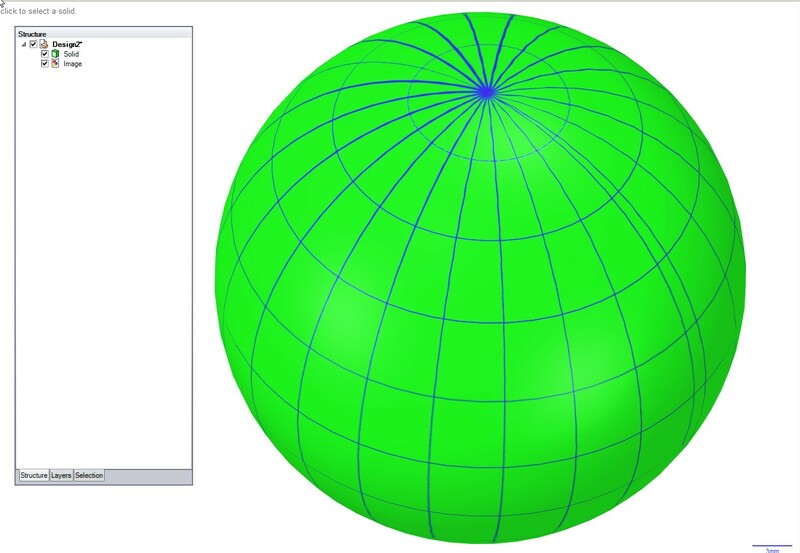 The projections are radial ones from the center of the sphere, if nothing else is specified. 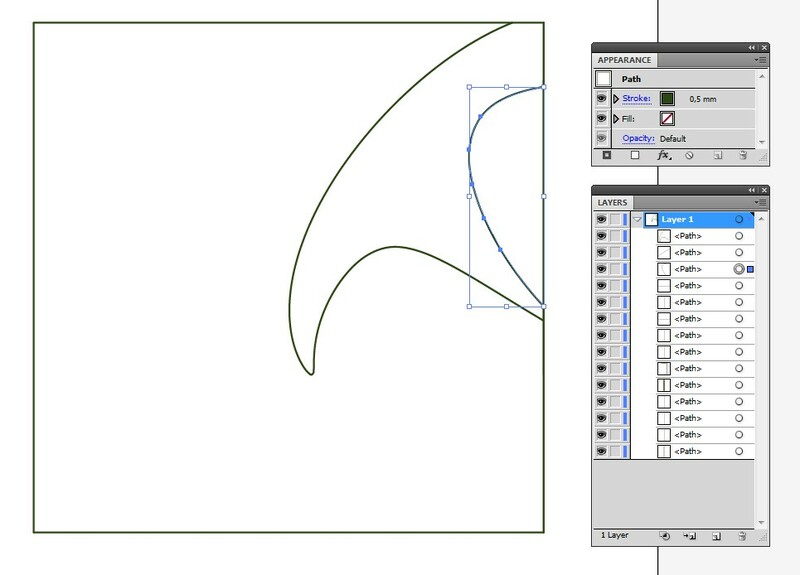 In Illustrator one must release a bunch of clipping masks and set a good stroke. 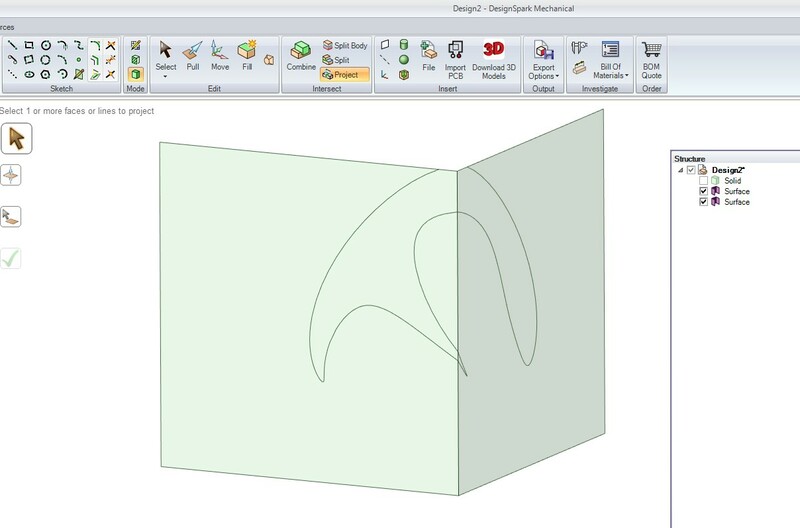 The shape is splitted to separate curves quite unpredictably, but one can join them or fill areas with the Shape Builder. Usefulness? 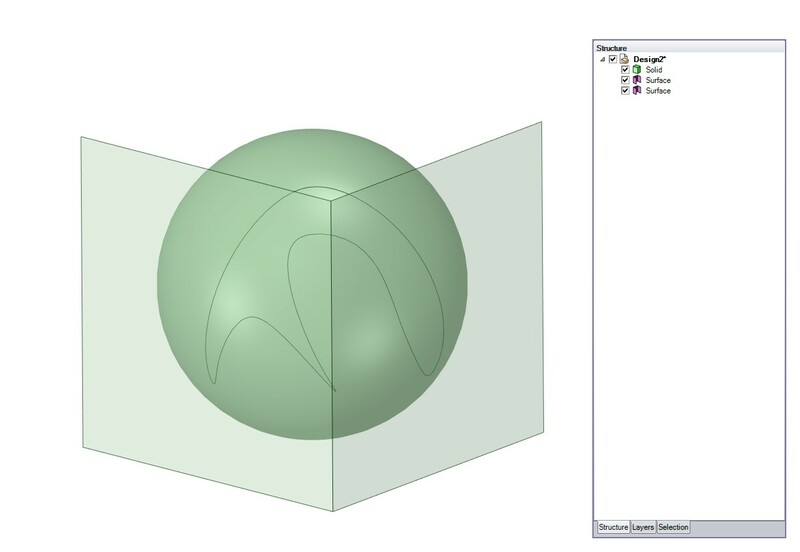 Drawing onto a sphere is difficult and the shape is uneditable after clicking it ready. In addition drawing self cutting shapes creates unpredictable results(see NOTE1). For small shapes it's better to project already made plane drawings. If they are small, the distortion isn't extreme. 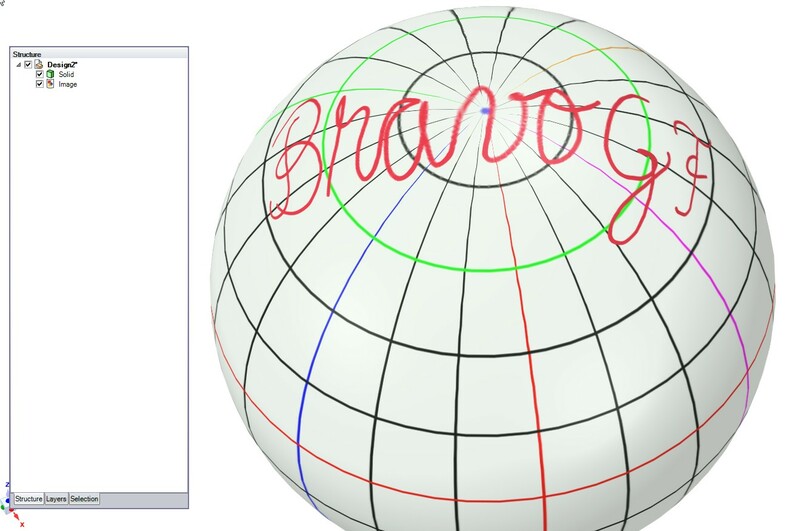 One can draw the final skybox shapes in Illustrator or Photoshop, drawing on sphere in CAD program can be used to make geometry guides. The used software is DesignSpark Mechanical. It's a radically decimated version of high end package named "SpaceClaim", but it's free. 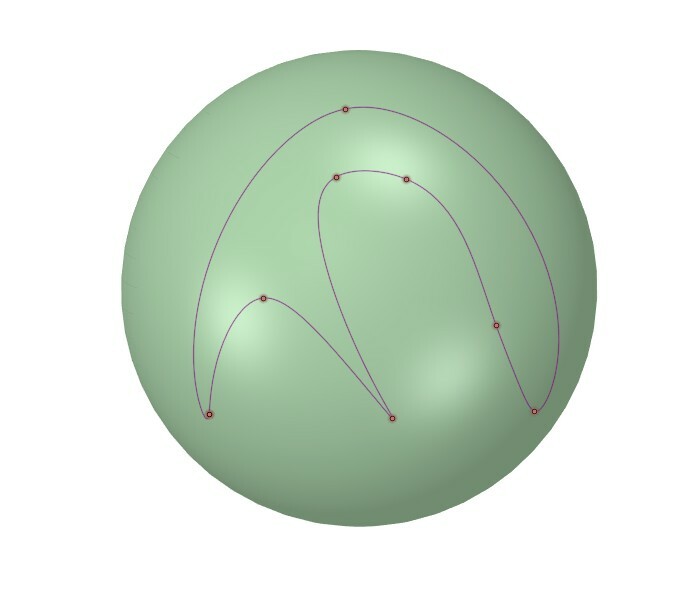 NOTE1: The sphere vanishes, only some splinters remain between the curves. 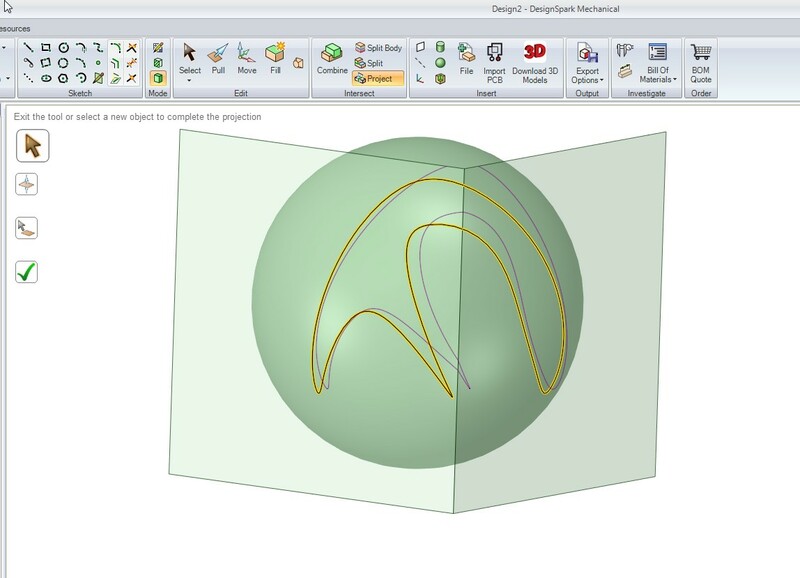 The sphere returns if one pulls it to a little bigger diameter and then types the original diameter to be used. Not the answer you're looking for? Browse other questions tagged software-recommendation 3d panorama or ask your own question. How to convert a normal photo into an equirectangular image? What software can create a paint-by-number? How can I display sound distortion through images? How can I render a 3D crystal object? How to stitch images vertically in Photoshop? How can I make a keyboard image like this one? How to merge many images into a single large composite image? How are the images at AllRGB.com created?